Our professionals offer complete woodpecker removal solutions. Woodpecker traps are illegal without a federal kill permit. Contact a professional woodpecker removal specialist in your area. Woodpeckers, or flickers, are best known for and recognized by their unique ability to bore into wood and other materials with their beaks. This practice produces a rapid tapping or drumming sound, making them easy to identify. 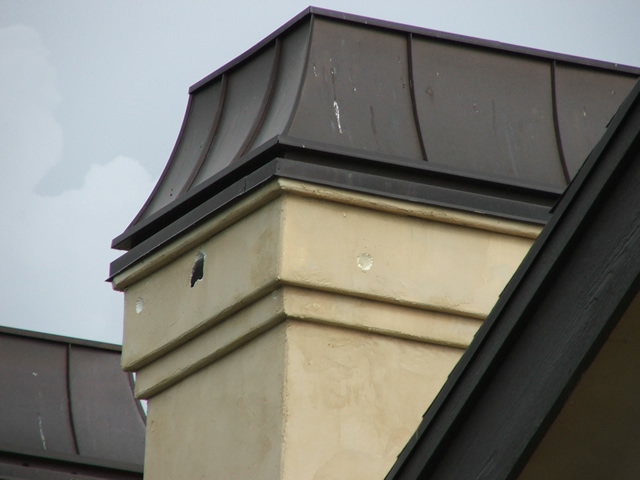 Not only are flickers a nuisance because of the unsightly holes they leave in structures, but also because of their noise and the mess. Drilling and drumming noises quickly become irritating when they wake people up and dampen a person's productivity during the day. Many varieties of flickers eat bright-colored berries, and their droppings stain walls, stucco, sidewalks and driveways. 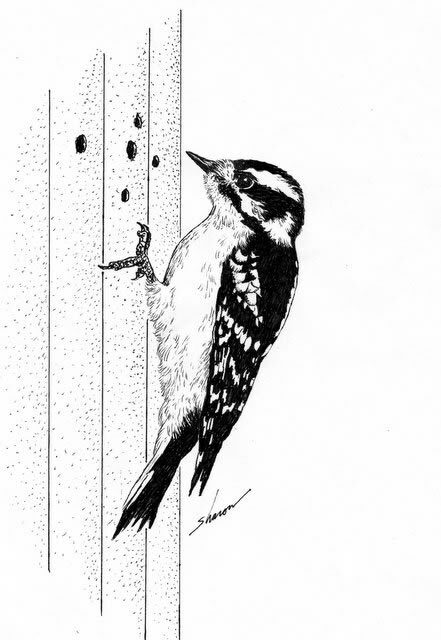 These birds can be very persistent, so it is important to take measures to stop woodpeckers immediately; delaying will make the problem more difficult to control because it allows them to develop a habit of drilling into or drumming on your structure. It is best to scare them away before they become comfortable. Another important reason to take action quickly is that woodpeckers open the door for other animals to enter your home. 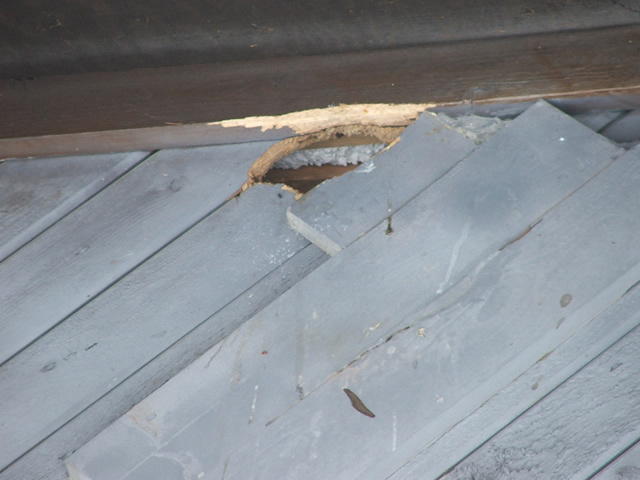 At Allstate Bird Control, we frequently address attic bat, rat, and squirrel infestations that began when the critters found access through woodpecker holes. Larger animals also use the holes as a starting point that they can enlarge to gain entry. In short, holes in the walls are very attractive to all sorts of animals for denning and nesting sites. The primary reasons why woodpeckers peck are for mating and for drilling holes in which to raise young. Another reason, although less common in homes and other buildings, is to hunt for insects. 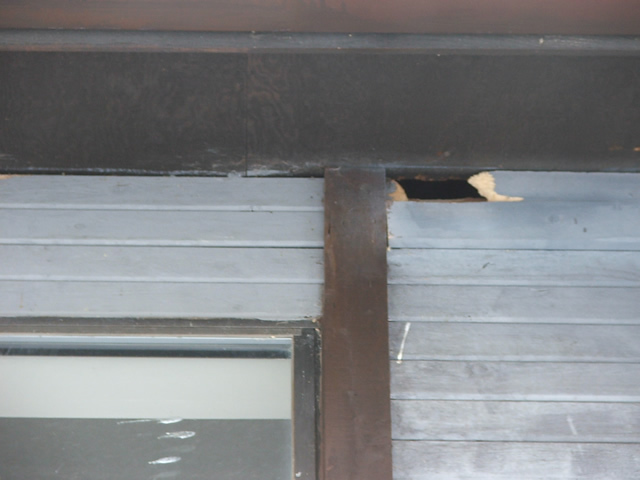 A flicker problem could be an indicator of carpenter bees or other insect presence in the structure's siding, woodwork or walls. If this is the case, a treatment for insect pest extermination may be necessary. 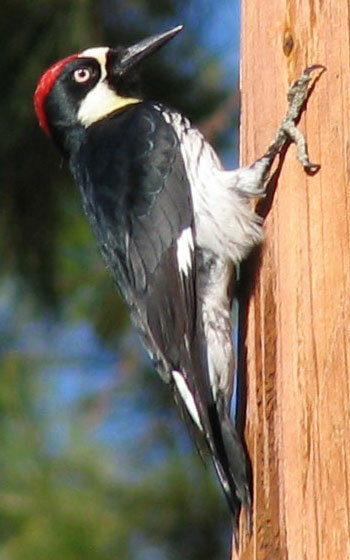 Our pest bird removal technicians address all of the above problems associated with woodpeckers and flickers. We know how to get rid of woodpeckers and put an end to the noise and damage. We also can provide insect treatments when necessary, remove the droppings and the mess, and seal up the holes left behind to prevent other animal infestations. Since they are federally protected, woodpecker removal needs to be done in one of 2 ways: by non-lethal repellents or by lethal means and with a federal kill permit. By law we cannot trap these birds unless we have the appropriate permits. My wildlife control operators and I have highly effective repellents that we use to remove flickers, both visual and gustational (taste) products. Our four-step and five-step processes are designed to be effective long term. We lease mechanical repellents for a month or two at a time; these devices frighten the birds away, preventing them from getting too comfortable. We also lease products such as roost boxes and drumming pads, but these remedies are less effective because they do not force the woodpeckers to remove to an entirely new nesting site. We also can provide and install specialty physical barriers such as bird netting. Repellents and physical barriers are usually very effective, but occasionally we find woodpeckers that are relentless in their desire to stay where they are. When this is the case, we can be hired to obtain a kill permit for you from the federal government which will allow you to legally exterminate them. This process is quite extensive and requires documentation of attempted live removal tactics such as repellents, etc. It costs approximately $250-$300 and usually takes one to three months to obtain the proper permits. 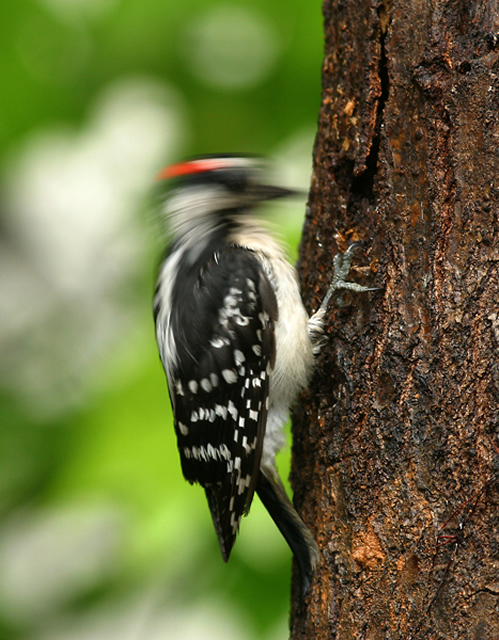 In forests, woodpecker activities are just part of a balanced ecosystem. They seldom damage healthy trees, instinctively drilling in diseased or dying trees and in the process creating new homes for themselves and other tiny creatures. When they migrate to human areas they become problematic. 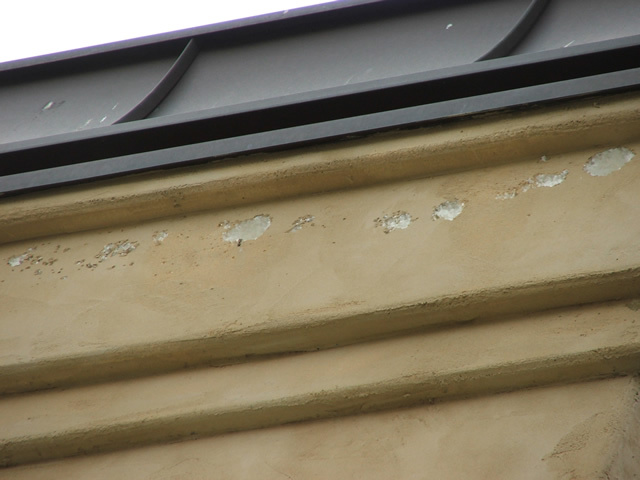 Their holes can be small or large, and mar stucco, siding, and a number of other materials. To learn more read our Woodpecker FAQ. 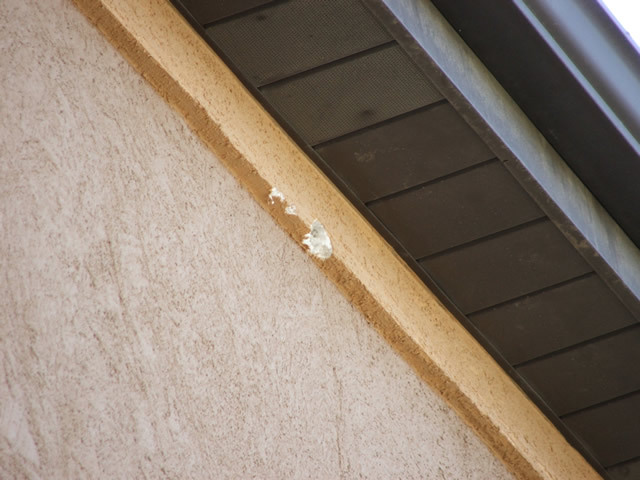 call Allstate Bird Control: . You may also send us digital pictures of your problem and we will provide you with a FREE evaluation over the phone. We will give you an estimate of the costs associated with a permanent solution. We also offer professional coaching services to walk you through the process of step-by-step bird control; we will ship materials and products as needed. The best method is to hire an experienced professional. Give us a try-- see what we can do for you. Call to set up an inspection. Woodpecker control will put an end to the constant tapping noises. 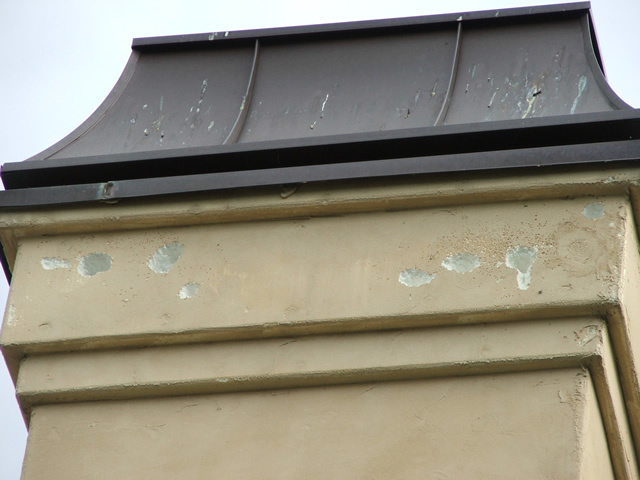 An experienced technician will know how to get rid of woodpeckers and stop further damage to your stucco or siding. Woodpecker extermination, when appropriate, should always be done humanely. Woodpecker deterrents are a very effective solution. 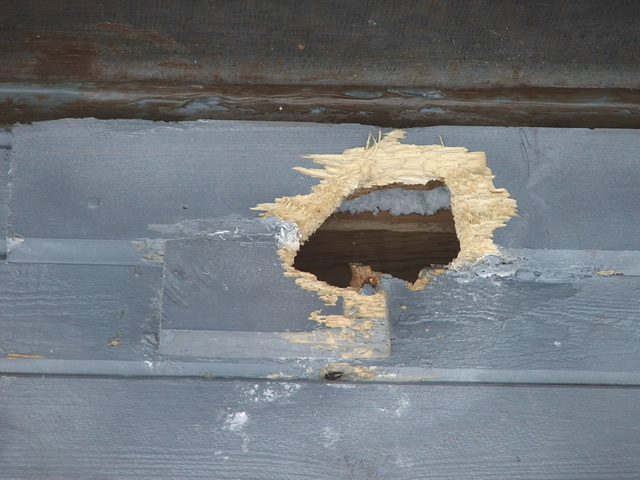 We can show you how to prevent woodpeckers from returning to your structure. Delaying will exacerbate the problem and may allow introduction of baby woodpeckers to your home.